need to contact me if you wanna cancel your reservation minimum 7 days before. contact me about exact time of your arrive. 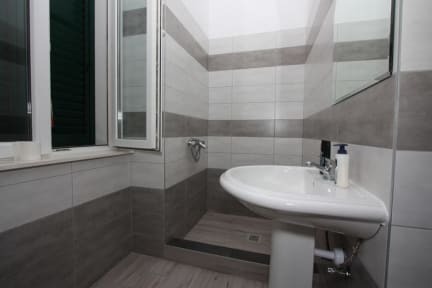 Lero is offering beautiful rooms (Marjanski put 7) and pvt apartment (Vijugasta 16 - Just 150m down the road) in the old part in center of Split,Veli Varos (Marjan).We are located about 10 minutes walking distance from bus station, train station & ferry port. Being situated in a old part of the town underneath hill Marjan we are the perfect place for couples and travelers who wanna rest after long journeys, our goal is to offer best possible accommodation for best prices. Lero is situated in one of the most beautiful Secession Villa in Dalmatia built more than hundred years ago and it is part of the Croatian cultural heritage. Wi - fi internet is freely available throughout the Lero. 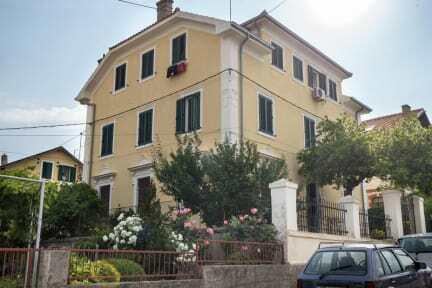 Lero has a big backyard with vegetable garden full of typical Dalmatian plants and trees. There is also a barbecue with big table underneath old fig tree which gives nice shade from the summer sun! Free welcome drinks are served to all of our guests! Final goal that we want to accomplish is quality! Check out is at 10 a.m. and check in is from 11.
guests that arrive before that can leave their baggage and return at 11. If the guest's bus or airplane leaves late in the evening they can leave their baggage. for all other check in you need to contact us by mail or by phone. in your reservation please make specific notice about if your arrive time is a.m. or p.m.
Soggiorno davvero piacevole. Ottima soluzione anche per chi viaggia con bambini, l'ostello é in posizione centrale, in un quartiere sicuro e tranquillo. Ben arredato, tutto nuovissimo e pulito. Il personale é molto gentile e disponibile, e si respira un clima di amicizia e accoglienza. Unico neo non avevamo la chiave della stanza, in modo da chiuderci di notte, ma evidentemente ci siamo scordati di richiederla.